One of my fondest childhood memories is my dad taking me to Pizza Express at least twice a month – of course, it would be food wouldn’t it! We’d drive into Birmingham and go eat Garlic Bread and Margarita pizzas by the canal, and overly hungry 7 year old Lauren would devour every ounce of butter and parsley on the plate before you could grab a second slice. 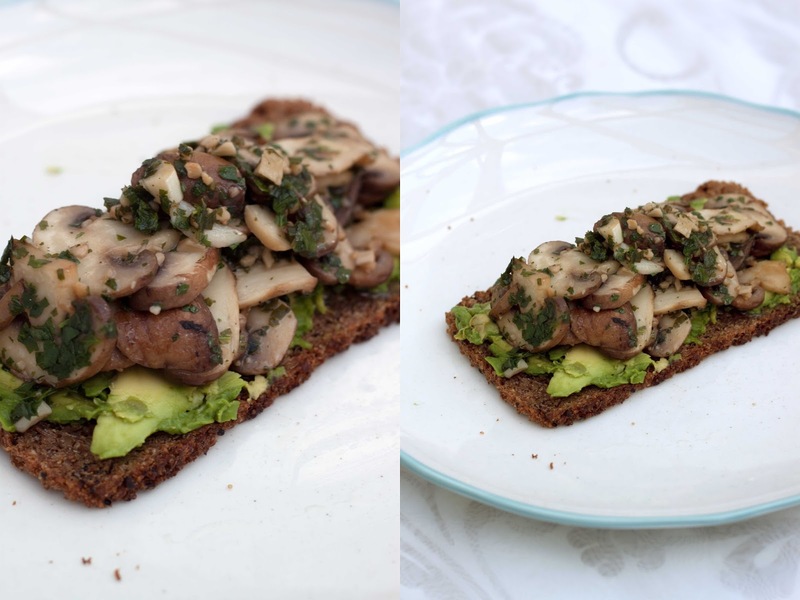 This is so easy to make and can be whipped up in under 10 minutes which is great for the hangries, and it will fill you up good and proper whilst still being healthy. 1. Melt some coconut oil in a pan, and add in the fresh and lazy garlic to release all those delicious flavours. 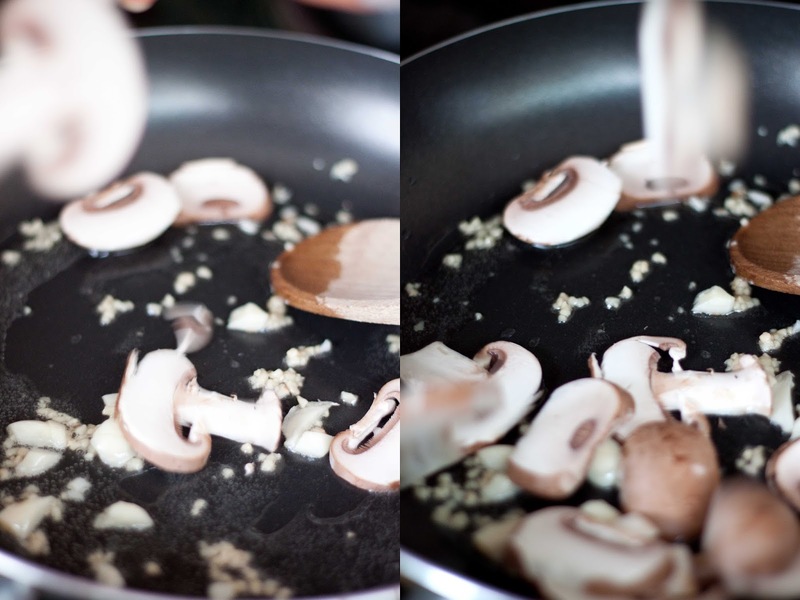 Slice up those mushrooms and drop them into the sizzling garlic goodness. Turn down the heat and let them cook, soaking up the flavours with a lid on. 2. 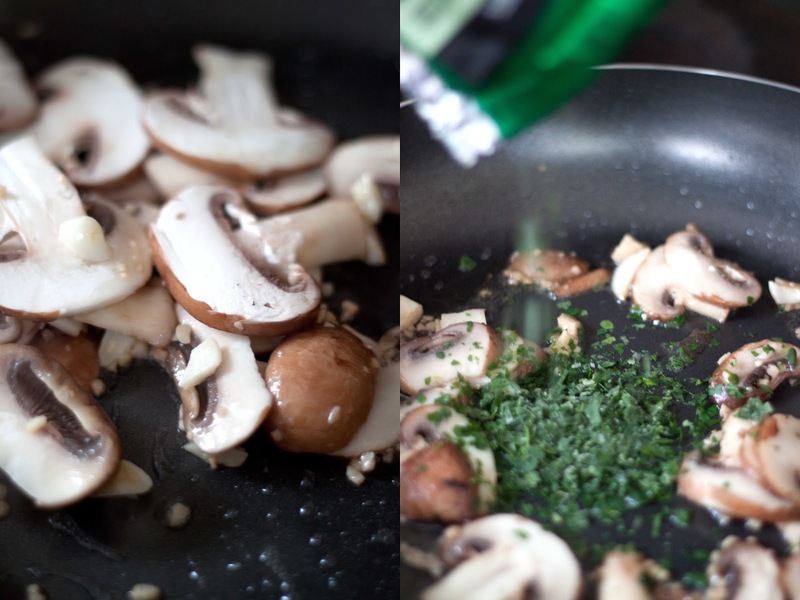 Once they’ve started to brown, go crazy with the parsley for flavour and stir it in so every bit of mushroom has a coating. Turn off the heat and let it simmer away in it’s flavour and warmth whilst you prep. 3. 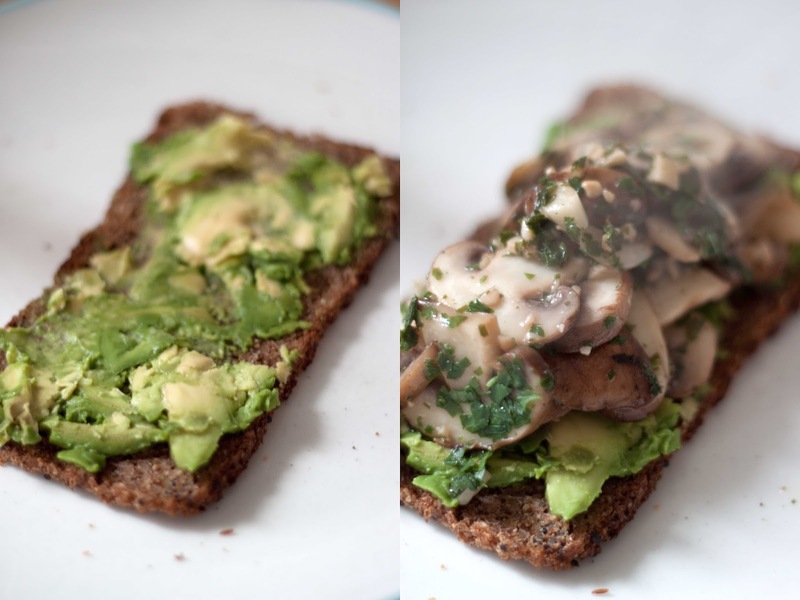 Toast your rye bread until firm, and then slather on a good layer of avocado. 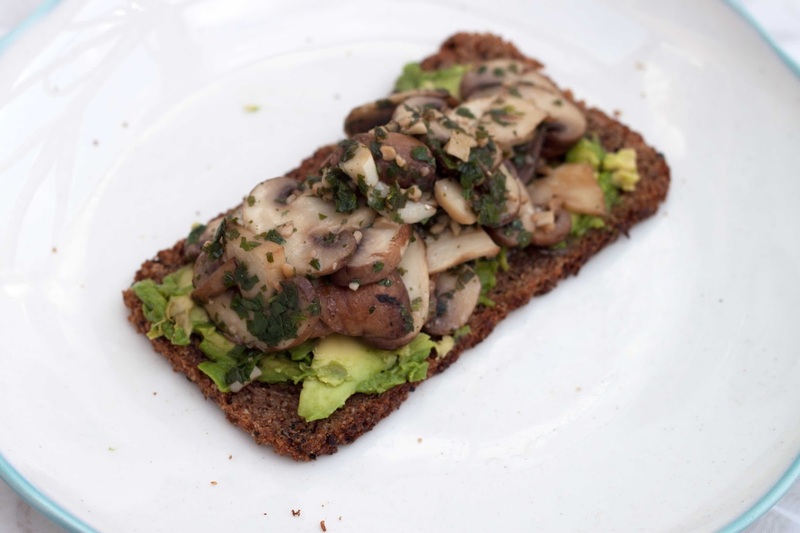 Pour the mushrooms on to the bread, piling it high! Sprinkle on extra parsley at will, and serve warm! Total heaven. 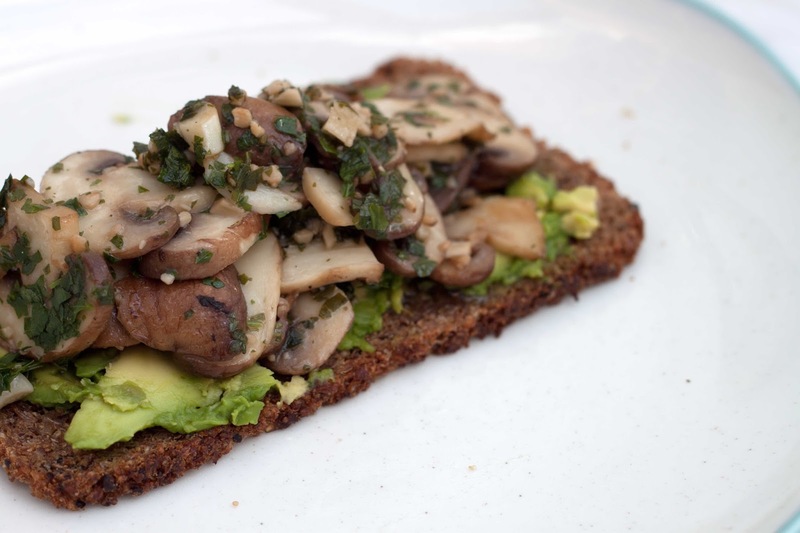 You simply cannot go wrong with garlic and mushrooms, and the kick of parsley really freshens up the taste, only to leave you wanting more. 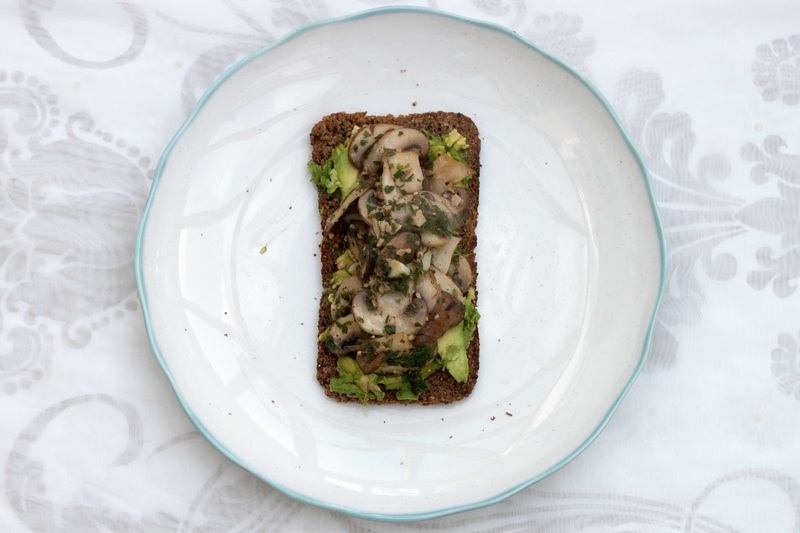 Combined with the rye bread and avocado, this is a super filling lunch or midday snack to keep you going as it’s packed with essentials fats, fibre and flavour to make your tummy and mind happy – plus it’s only 200 calories a serving, how awesome is that?! Combined with slow releasing energy and you’ve got yourself a perfect bite to see you through whatever the day brings (probably more eating for me). I have to say this comes quite close in replicating those days at Pizza Express, and it certainly feels more of a meal in itself. All I need now is a canal, a slice of Italian Pizza, and possibly a slice of classic Chocolate Fudge Cake to finish the whole meal off – gotta kill off that garlic somehow…. Are you a fan of garlic bread and dough balls? What is your favourite childhood food? Will you be giving this bruschetta a go?